First of all congratulations of your engagement and good luck with planning the big day. I’ve put together some tips, which will hopefully help along the way. This is the one thing that you need to book quickly, as good venues get booked up early, especially for summer months at the weekend. If you don’t have time to wait, then consider a midweek or winter wedding. The band are another element that it is advisable to get sorted asap. Try to see the band playing and once booked, keep in regular contact to ensure your booking stays in their calendar. It’s important to check that your photographer can capture your day the way you want and also do it quickly, so you get time to spend with your guests, before the wedding breakfast. At a recent wedding, the bride and groom arrived at the reception venue with 5 minutes to spare before being piped in for dinner because their photos had taken so long. 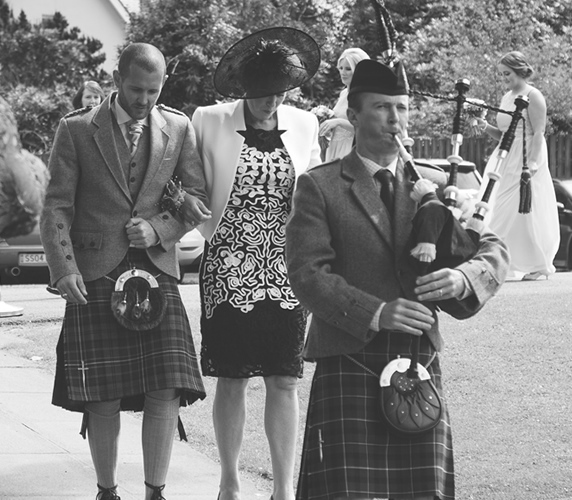 I am biased, but a Scottish piper will add something special to your day that you and your guests will carry with you for ever. 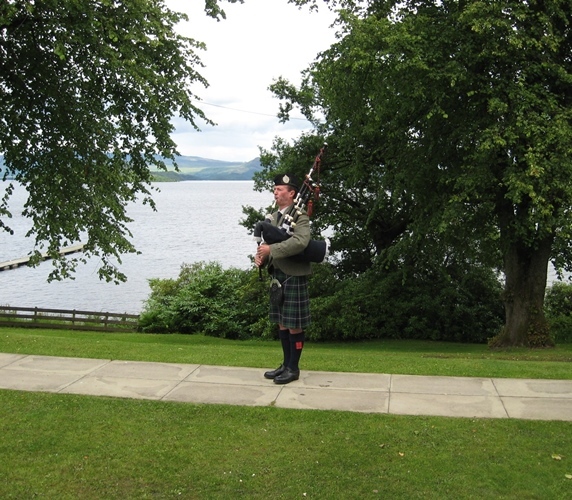 Make sure you see your piper playing on video or live, to ensure he can play and also that he is attired in full highland dress. 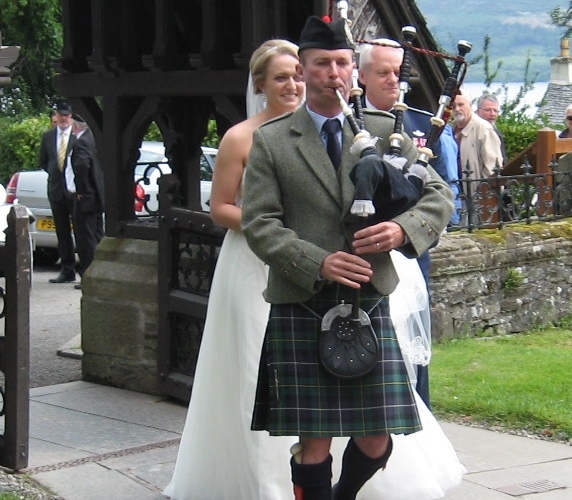 More and more people are wearing Scottish highland dress for weddings, but I am continually surprised by how many people don’t know how to wear it. I will soon be starting a series of videos designed to help with this subject starting with “how to tie gillie brogue laces”. Delegate! That’s what the best man, ushers and bridesmaids are for! Just arriving dressed for the occasion is a challenge in itself, without having tasks to perform. At a recent wedding, the groom had left himself so many minor tasks, that he forgot the rings. It’s easy to delete is later, but as least you won’t have forgotten it. 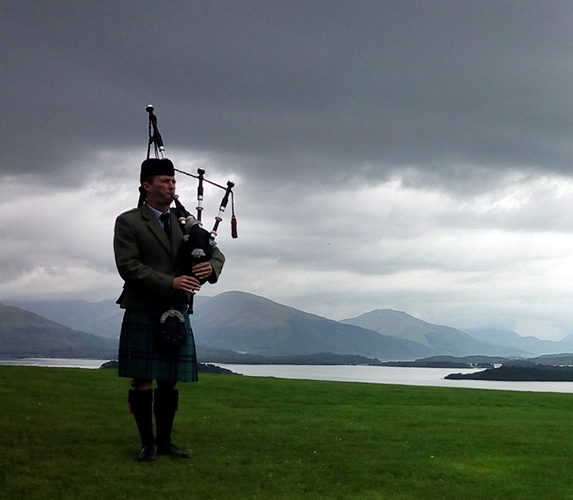 Wedding Piper Scotland. Choose us and rest assured you have made a sound choice!